Complete visibility into the application landscape helps organizations manage costs, ensure alignment between software and the business value chain, and promote agility and innovation. Enterprise Architects can use Application Portfolio Management solutions to achieve this. 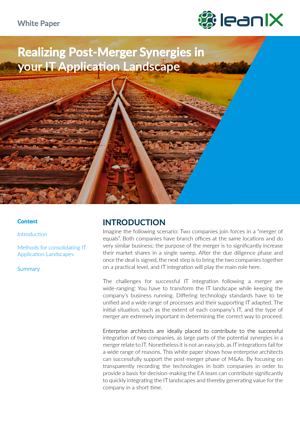 These solutions provide clear insight into how many applications are in use, their business value, their supporting technologies, and their life cycles. 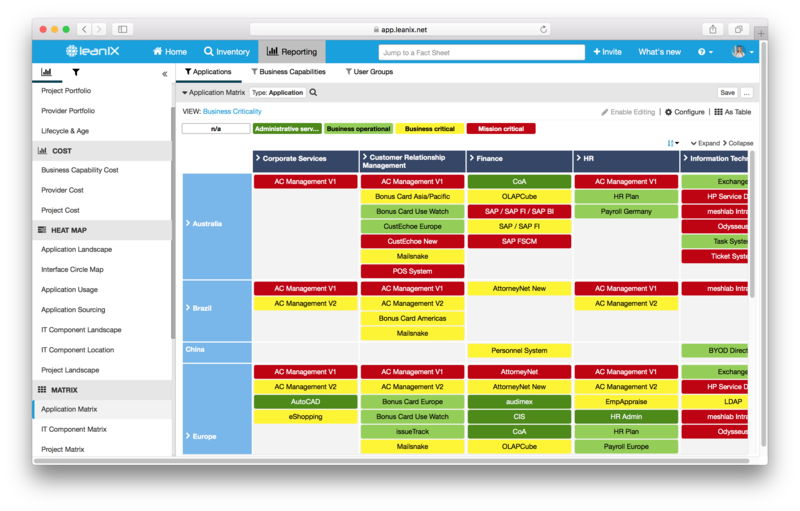 Application portfolio management is like taking a proactive approach to managing your wardrobe. That t-shirt you bought on impulse before arriving home and realizing it doesn't match anything you already have? Chances are it’s still gathering dust in the back of a drawer. Things would have worked out better had you taken a more methodical approach. For example, you could have looked at your existing clothes before you went shopping, identified the gaps, and selected items to fill them. Coincidentally, it’s the same story with enterprise applications. As organizations grow, IT departments and even individual employees buy applications to solve urgent problems without giving any (or at least enough) thought to the implications. 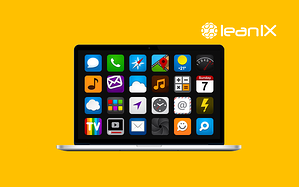 As a result, apps pile up that are difficult or impossible to integrate with existing apps or other systems. Similar apps for completing the same tasks are purchased multiple times. Others fall out of favor and are no longer used, but are still paid for, and never uninstalled. And still others are bought and never used at all! Now imagine that this process has to cover hundreds, or even thousands of apps at a time. For many organizations, that sounds like such a big job, they simply never get around to doing it! 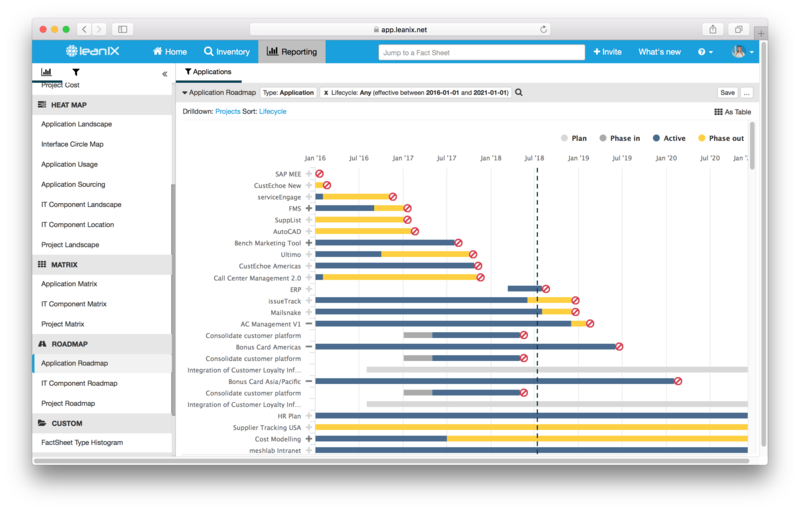 Failing to keep your application portfolio up to date means organizations are spending money unnecessarily on apps that don’t add value, leaving less money and fewer resources to spend on the software and services that could add value and boost organizational competitiveness. It also leaves them open to potential and compliance and security breaches. This is where Application Portfolio Management solutions come in. So what concrete benefits do we obtain with application portfolio management? Application portfolio management is an effective way to identify capital for reinvestment. 1. Align apps with business needs. Identify which apps support which business capabilities and eliminate those that don’t fulfill a valuable business purpose. Modernizing some apps, eliminating others and ditching technical debt frees up budget which can be used for innovation. A complete picture of the apps you are running helps protect you from potential compliance failures. That’s a lot more than a nice-to-have when the penalties for non-adherence to new regulations, such as the EU’s GDPR, can run to eight figures per infringement. Consolidating vendors, getting rid of duplicate apps and ensuring you have the right number of licenses streamlines app management effort and costs. Legacy apps and unsupported licenses can be security and compliance time-bombs. Application Portfolio Management helps to defuse them. Eliminating dispensable apps, and unused licenses could help cut software costs by as much as 15% without affecting business performance. Many applications can serve the business better from the cloud. But your organization won’t benefit until they are identified. 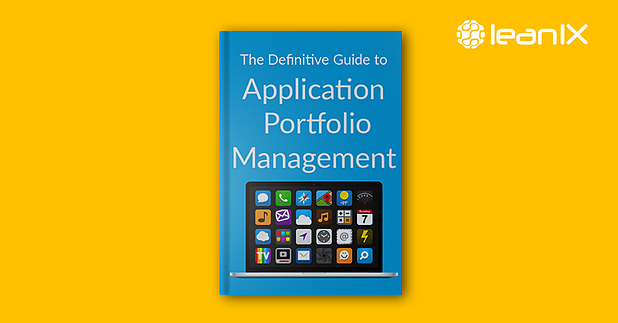 The right Application Portfolio Management overview can help you identify them. Many apps come with a lot of functionality that most organizations will never need or use. The ability to link apps to business capabilities helps you identify which ones you can do without, so you can get rid of them. Once you have rationalized your app portfolio, gaps and redundancies that slow down processes will become clear – then you can eliminate them. By knowing which apps and services are critical, you can make better decisions about what to outsource before you sign any agreements. 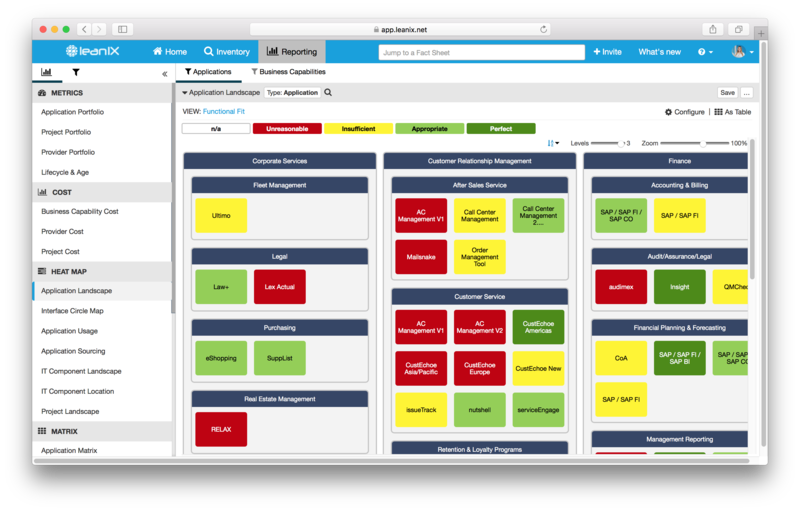 Active Application Portfolio Management helps you prioritize projects and associated applications according to the business value they deliver, and eliminate those that aren’t pulling their weight. A smaller number of more valuable apps allows you to reduce or reallocate infrastructure resources accordingly. The correct enterprise architecture supports various stakeholders: CIO, CTO, IT Manager, etc. 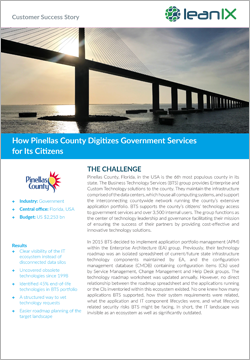 Each stakeholder has different informational needs that can be solved by enterprise architecture. Which apps deserve investment, and which need to be shown the door? Once we have finished mapping our applications, an IT Manager could ask us for example to find out which applications we should keep, and which not. For this, we should first find out what the technical fit and the functional fit of the application is. This information can be collected by sending out surveys to the actual users of applications. Once we have the information, we can quickly see how many applications are not a good fit for our organization. The next step would be to propose to divest in these. Image 1: Application Portfolio showing the functional and technical fit of applications. Which of our apps are not supporting business capabilities well enough? As we well know, Enterprise Architects manage both sides of the business / IT coin. A Business Program Manager might be interested in finding out how current applications are supporting the business capabilities of the office. In the example below for example, we can see that many applications do not functionally support Customer Success. This is the perfect occasion to propose the removal of these apps, and clean-up your application portfolio. Image 2: Application Landscape showing the functional fit of applications regarding business capabilities. Which of our apps are really necessary, and where are the gaps or overlaps? In big corporations, one of the main issues that often come up is streamlining applications over the entire organization. In the picture below, we can see that no application is being used by China to support HR. On the other hand, Europe is using 6 applications to support HR. Here we could propose to streamline application access across all user groups. Image 3: Application Matrix showing which applications are supporting business capabilities, depending on their geographical user group. Is our application portfolio developing in the right way to support our future strategic goals? In larger and more complex organizations, one can quickly lose the overview of application lifecycles. One of the most important things one must look after is the lifecycle of applications. 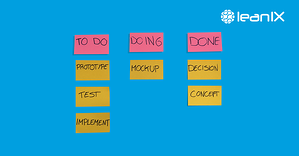 When an application reaches its end-of-life, we must plan successors for this application, especially if there are projects or other dependencies relying on them. This information is significant to almost all stakeholders in your company. The Security Officer needs to know that all underlying applications are up-to-date to avoid attacks on old obsolete apps. The CTO needs to know what the application roadmap looks like, etc. Image 4: Application Roadmap showing the lifecycle of applications and the projects related to those applications. 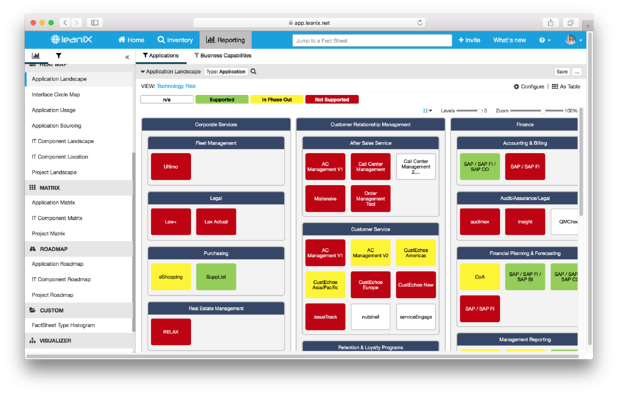 There are many additional types of reports that an enterprise architect should have access to that are essential to a company. 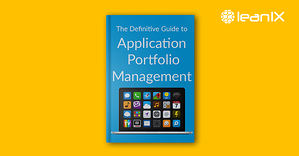 Now that we have covered why Application Portfolio Management is necessary, it is time to show how to actually get started with Application Portfolio Management. Compile a list of past, present and future applications deployed on your system. This should include all users and offices worldwide. Identify the affected stakeholders (users) of the applications. During this session of discovery, it is common to find out that very few people are using certain applications. You may also find that some applications are, or have become totally unused. Once technology becomes active, the value increases and risk goes down. At the end-of-life of a technology product, IT management has to deal with challenges such as integration issues, limited functionality, varying service levels, lack of available skills, and missing support from vendors. Experienced executives are quite good at managing risk at an early stage. Problems here are not going to surprise most managers. Some tend to underestimate or ignore the risks of end-of-life technology. Image 5: View of Application lifecycles, showing which are supported, in phase out, or not supported. 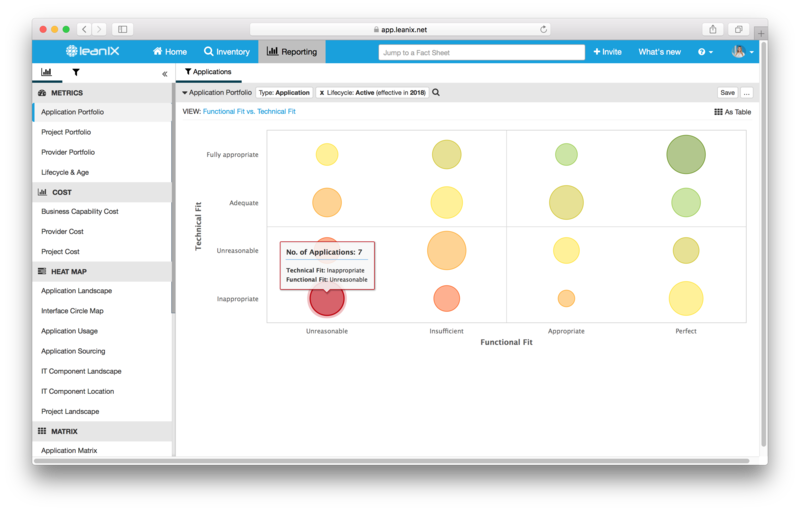 Misused applications can be identified in an Application Rationalization endeavor. Often, applications are not used to their full potential, or can be easily exploited when used incorrectly. It's best to use business capabilities in this step. Business capabilities encapsulate what a business is doing right now and what it needs be doing in order to meet current and future challenges. They define “what” a business does, rather than “how” it does it . Business capabilities help to identify redundancies in IT, spot risks, and to develop innovative technology solutions. One best practice is to develop an application architecture vision and an application architecture framework with principles and set rules. Define a set of business, information, and application concepts that your organization would like to see reflected long term. This is where LeanIX shines. Having an easily referenceable, tangible, visual display of the application landscape helps to keep a full overview of which parts of the organization are being fulfilled by the current application stack. One can also conclude the true relevance of each application. Now that the portfolio is officially optimized, it is imperative to continually maintain the landscape. 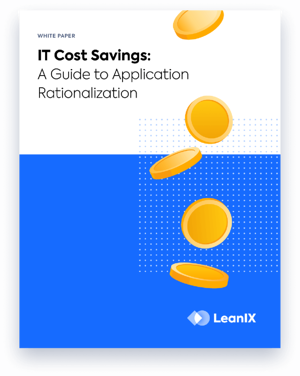 Onetime application rationalization endeavors might save the organization money in the beginning, but they lack the long-term value that continuous application rationalization offers. Application rationalization improves the overall effectiveness of IT and ensures that the IT landscape is actively aligning to business goals and objectives. In this business climate, operating an agile landscape is key. With digital transformation driving customer demand, the IT architecture will need to dynamically adapt to the rapidly changing needs of the market. Most businesses spend 70-80% of their IT budgets on supporting aging low-value legacy applications, leaving very little money to invest in optimizing business processes. The goal of Application Portfolio Management is to articulate an architectural vision that enables the business goals, responds to the strategic drivers, conforms with the architecture principles and standards, and addresses the concerns and objectives of key stakeholders. Application Portfolio Management efforts will help you optimize your application stack, establish transparency between stakeholders and deliver value to your business leaders. What did you think about our definitive guide? We would love to see some comments below!